Construction has started on the new Taco John’s restaurant in Minden that was announced several months ago. 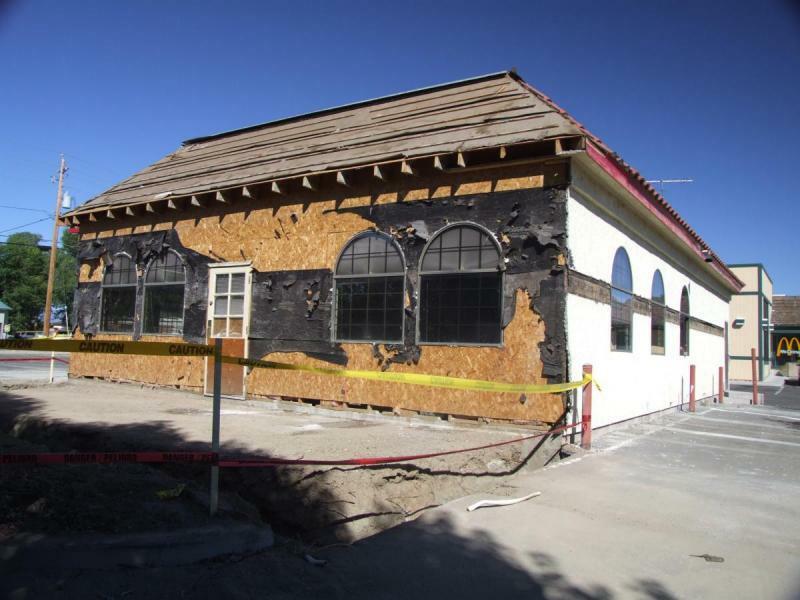 The old Chinese Village restaurant is being gutted and renovated to hold the new eatery; here you see the stucco being mercilessly stripped off. This building opened in the early 1990s as a Taco Maker. It did brisk business at lunch since it was one of only a handful of fast food places within walking distance of the high school. But, just like Wendy’s down the road, the non-high-school business wasn’t enough so they had to close down. It’s been the home of a chinese restaurant for many years since then, but now it’s going back to tacos. You should also watch this cautionary video from YouTube to find out why you should never stop in at Taco John’s to ask directions to a Taco Bell. Is there a possibility we might get an El Polla Loco (probably misspelling that). There’s two in Reno, and it would be my new home if Carson/Douglas got one.